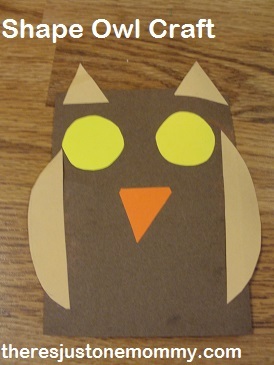 Last week my son had fun making this cute preschool owl craft. This adorable shape craft is one of our favorite kids crafts for toddlers and preschoolers. Mommas have to get creative sometimes when it comes to keeping little ones busy. Busy boxes and sensory bins are perfect for keeping kids entertained while you are making dinner or taking a quick mom break. 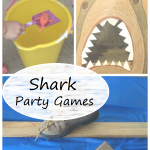 But sometimes it’s nice to change it up a bit and have a few craft ideas ready for little ones to do that is simple for them to do on their own while you get things done around the house. This preschool shape craft is perfect for that. 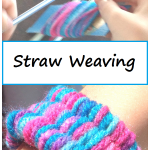 For the very youngest crafters you may want to have the shapes cut out ahead of time. 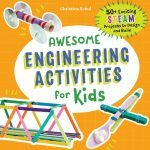 This shape craft is perfect for sitting with your child and talking about each shape as they assemble the owl. For preschoolers you can draw the shapes and have them practice cutting skills by cutting out each shape. You will need: 1 large rectangle, 2 circles, 2 crescents, and 3 triangles. Once the pieces are cut out, have your child glue the circle at the top of the rectangle. These will become the owl’s eyes. The crescent shapes should be glued to the sides of the rectangle to become the wings. One of the triangles will become the beak. The other two get glued to the top of the owl’s head as the feathery tufts many owls have. 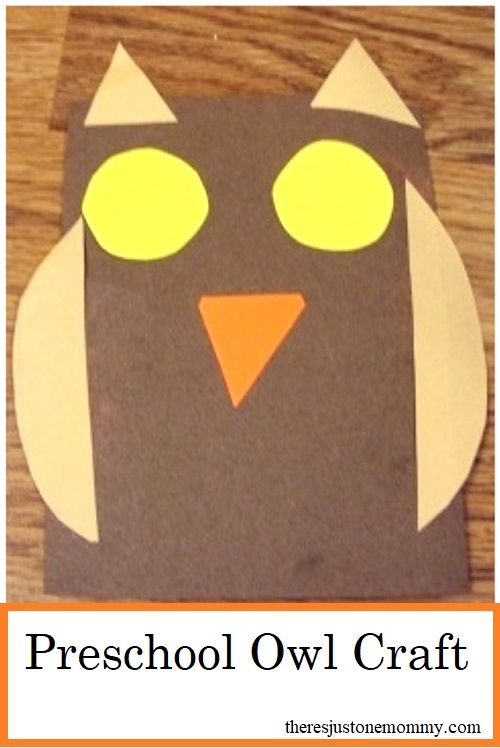 This little preschool owl craft is perfect for fall. I think I need to just have a bag of pre-cut shapes for future crafts like this! This is great! 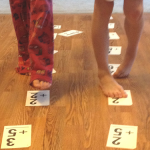 I love that you can set it out and let the kids work on it as they choose. I’m going to get a few of these together for my boys. I featured this on mom’s library this week. Thanks! Cute! This would be fun to do with my toddler, we might even try cutting out the shapes. Thanks for sharing. It would be really great scissor practice! What a cute owl!! Love it! Thank you for sharing at Sharing Saturday! Thank you — he had fun doing it! Totally right up our ally!! Pinning to do with my girls! Thanks for sharing on Sunday FUNday! A great activity to teach shapes. Thanks for linking up to It’s Friday We’re in Love.